At Neurology, Psychiatry and Balance Therapy Center, our team treats patients with a full range of neurological, psychiatric, musculoskeletal and vestibular conditions that require the care of a neurologist, psychiatrist, physical therapist, and / or vestibular therapist. Do you feel like you can’t enjoy things in life? Are you depressed? Have you been diagnosed with Major Depressive Disorder? Have you had treatments for depression in the past that have not worked? Depression affects millions of people and can have devastating effects on people’s lives. Fortunately there are several treatments that have been proven to successfully manage depression which we provide here at NPBTC. When you come in for your first appointment with Dr. Knight she will talk with you about your depression and how it is affecting your life. Based on that evaluation she will determine what type of depression you have and what your best treatment options are. Some patients will be able to overcome their depression with psychotherapy or medications while others may need a combination of both. Unfortunately, some patients don’t respond to either psychotherapy or medications. The good news is that we also offer deep TMS (Transcranial Magnetic Stimulation). Deep TMS therapy is an effective, safe and generally well-tolerated therapy for patients with treatment-resistant depression. Deep TMS treatment stimulates the brain regions responsible for depression in a non-invasive way, using brief magnetic fields, at an amplitude similar to that used in magnetic resonance imaging (MRI) systems. See the video below or click here, to learn more about Deep TMS therapy and how it works. 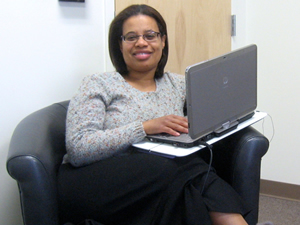 Dr. Knight will work with you to find the treatment or treatments that will help you get back to enjoying life again. The American Psychiatric Association describes Obsessive-compulsive disorder (OCD) as “an anxiety disorder in which time people have recurring, unwanted thoughts, ideas or sensations (obsessions) that make them feel driven to do something repetitively (compulsions). The repetitive behaviors, such as hand washing, checking on things or cleaning, can significantly interfere with a person’s daily activities and social interactions.” OCD is treated with psychotherapy, medications, or OCD TMS (Transcranial Magnetic Stimulation). 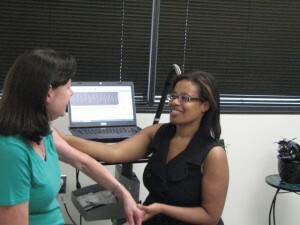 To learn more about OCD TMS treatment, click here. Just as she does with depression any other condition, Dr. Knight will work with you to find the treatment or treatments that will help you overcome this condition. In addition to Parkinson’s disease there are other disorders that share many of these features and are referred to as parkinson-plus syndromes. These include multiple system atrophy (MSA), progressive supranuclear palsy (PSP), corticobasal degeneration (CBD), and dementia with Lewy bodies (DLB) to name a few. It all sounds very grim, but there is good news. With the right treatment people with Parkinson’s disease can live long, healthy, and active lives. Effective treatments include medication, physical therapy, exercise, and deep brain stimulation. Medications replace lost dopamine to improve the function of brain circuits. Physical therapy and exercise will have different positive effects depending on the stage of the disease. Early on, even before Parkinson’s disease is detectable, they can help protect vulnerable dopaminergic neurons from getting damaged. When symptoms begin or when there has been moderate progression of symptoms, the activity from physical therapy and exercise can repair damaged dopaminergic neurons. In the advanced stages, physical therapy and exercise help to get the brain to improve the use of undamaged brain cells to make up for the ones that aren’t functioning. Thus, these treatments can help at any stage of the disease, but the sooner you start them, the more effective they are at improving function and slowing disease progression. Deep brain stimulation (DBS) is a neurosurgical procedure where a neurostimulator device is implanted on the skull and electrodes are implanted in specific areas of the brain. The neurostimulator sends electrical impulses into those parts of the brain to improve movement. Here NPBTC we can diagnose your condition and get you started on the right treatments as soon as possible. As a neurologist and a psychiatrist Dr. Sonya Knight can diagnose your condition and help to manage most aspects of your condition such as the problems with movement, cognition, depression, and anxiety. She will determine if medication therapy is appropriate for you and prescribe the right medications if necessary. She can also help determine if deep brain stimulation is an appropriate treatment. With physical therapy specifically we can help improve your ability to walk, balance, and do the activities you need and want to be able to do. We can also help you get set up with the most effective exercise program for managing your condition. Our physical therapists have been trained in programs that have been proven effective for helping people with Parkinson’s disease. Both Dr. James Barsky and Lisa Beitman, PT, MPT are certified by LSVT GLOBAL, Inc and PWR! to provide treatment for individuals with movement disorders related to Parkinson’s disease and other neurological disorders using the LSVT BIG™ and PWR! Exercise4BrainChange programs respectively. At the very least, if you have Parkinson’s disease or are worried about getting it, start exercising! What is dizziness? Is dizziness the same thing as vertigo? What causes it? How do you cure it? Here are the answers. A common definition of dizziness is an impairment of spatial orientation. What in the world does that mean? An easier way to understand dizziness is to compare it to the word pain. Pain is general term. There are many different types of pain – sharp pain, dull pain, aching pain, burning, stinging, shooting, etcetera. Just like pain, dizziness is a general term. There many different types of and words to describe dizziness, such as lightheaded, faint, foggy, vertigo, off balance, woozy, wobbly, wooshie, whirly, giddy etcetera. How dizziness is treated depends on the cause. It is important to have thorough examination by a healthcare provider trained in treating dizziness to find out what is causing the condition in order to get the right treatment for your dizziness. What about vertigo? Vertigo is a specific type of dizziness. Contrary to common belief, vertigo is NOT a diagnosis any more than pain is. Vertigo is a symptom that is defined as the illusion of movement when you are still, often a spinning or tilting feeling. When you were a child, have you ever continuously spun yourself around and suddenly stopped, but still felt like you were spinning for a few minutes even though you stopped moving? That was vertigo! As for what causes vertigo, there is no one answer, because there are hundreds of different conditions that can cause it. Things like inner ear infections, strokes, concussions, tumors, medication side effects, and anxiety are just some of the conditions that can cause vertigo. Rarely neck problems and even some heart problems, although indirectly, can cause vertigo. How vertigo is treated depends on the cause. That is why it is important to have thorough examination by a healthcare provider trained in this area to find out what is causing the vertigo. The good news is that the most common causes of vertigo are due to problems with the inner ear (vestibular organ) and are successfully treated with vestibular physical therapy. These are all terms that describe an infection of the inner ear or the nerve that goes to the inner ear. This condition is thought to be caused by a viral infection affecting these structures. When it occurs, people will have vertigo, nausea, and feel off balance. Vestibular suppressants may help with the symptoms in first day or two of this condition, but after that they can interfere with recovery. Gradual progression of activity can be helpful, but may not be enough to get rid of all symptoms. Vestibular physical therapy can be very effective treatment for this condition. With vestibular therapy, specific exercises are used to retrain the brain to make up for whatever damage may have been caused by the infection. Vestibular therapy also uses balance exercises to help you feel steady and confident on your feet when you are standing and moving around. Vestibular therapy is best provided by a physical therapist with advanced training in this area, which is what we have here at NPBTC. Problems with any of the above areas can cause balance problems. However, the brain and the body are very adaptable. Even if the primary cause of a balance disorder cannot be fixed, the other components that contribute balance can be worked on to make up for the ones that are not working so you can have an overall improvement in balance. 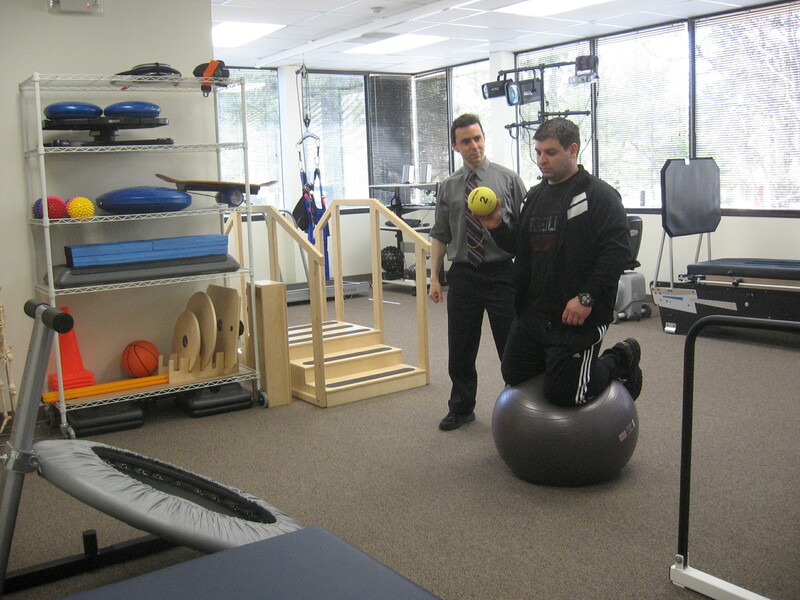 That is where the specific training and equipment use in balance physical therapy can help. No matter what the cause, challenging your balance with specific exercises in a safe manner will help to improve it. At NPBTC, we have a variety of equipment designed for safely challenging your balance so you can decrease your risk of falling and feel confident on your feet! A concussion is an injury to the brain from a direct blow or a jarring of the head from an indirect force. All concussions, even a what seems like just ‘getting your bell rung’ or minor daze should be treated very seriously. Most concussions will not show up on any medical image test like CT scan or MRI, nor in blood tests. The best ways to determine the effects of a concussion are from symptoms, balance tests, cognitive tests, and visual tests. Some concussions will resolve on their own with rest, while other may need intensive treatment from a multidisciplinary team. 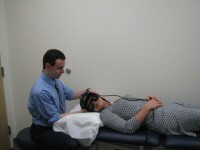 At the NPBTC, we can do many of the tests and the required treatments for successful management of concussion, because we have a neurologist, psychiatrist, and a physical therapist that specialize in this area all at one location. We also coordinate care with your other healthcare providers that are often involved in treating concussions, such as primary care, sports medicine physician, physiatrist, neuropsychologist, psychologist, occupational therapist, optometrist or opthamologist, to name a few. Numbness, tingling and / or pain in the arms, legs, trunk and face. Weakness due to brain, nerve or muscle problems. Problems of brain signals such as seizures, epilepsy, and migraines. Head trauma such as concussion and traumatic brain injury (TBI). The effects of problems due to decreased blood flow to the brain such as stroke. Movement disorders like Parkinson’s disease. Other disorders of the brain and spine such as multiple sclerosis (MS). Diseases and disorders that cause cognitive problems such as Alzheimer’s disease. While neurologists treat many aspects of the issues listed above, they do not perform surgery. Surgery for neurological conditions is performed by a neurosurgeon; however, a neurologist can help determine if you need to see a neurosurgeon. For general information on neurology and neurologic disorders, visit the American Academy of Neurology. Psychiatry is a medical specialty that focuses on the treatment of issues of cognition and mood, as well as disorders of personality and behavior. Psychiatrists will use psychotherapy, medication and sometimes other modalities as part of their treatment to help patients improve their mental health and to be able use their mind better. These treatments result in people being able to function better at taking care of themselves and dealing with other people. This inturn helps people to feel better physically. For general info on psychiatry and psychiatric disorders, visit Psychiatry.org. Physical therapy (PT) is a healthcare discipline that focuses improving patients’ ability to move and function for their daily activities and improve quality of life. Only a licensed physical therapist can provide physical therapy. The practice of physical therapy is grounded in science and uses the current scientific evidence to provide the best treatment. Physical therapy treatment often include specific exercises, education and training, hands on techniques such as joint mobilizations to decrease stiffness, and modalities just to name a few. Which treatments are right for your will be determined after a thorough examination and discussion with with you. 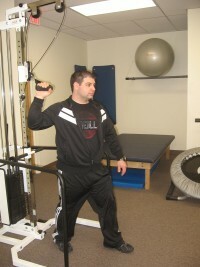 For general information on physical therapy and conditions addressed by PT, visit MoveForwardPT.com. 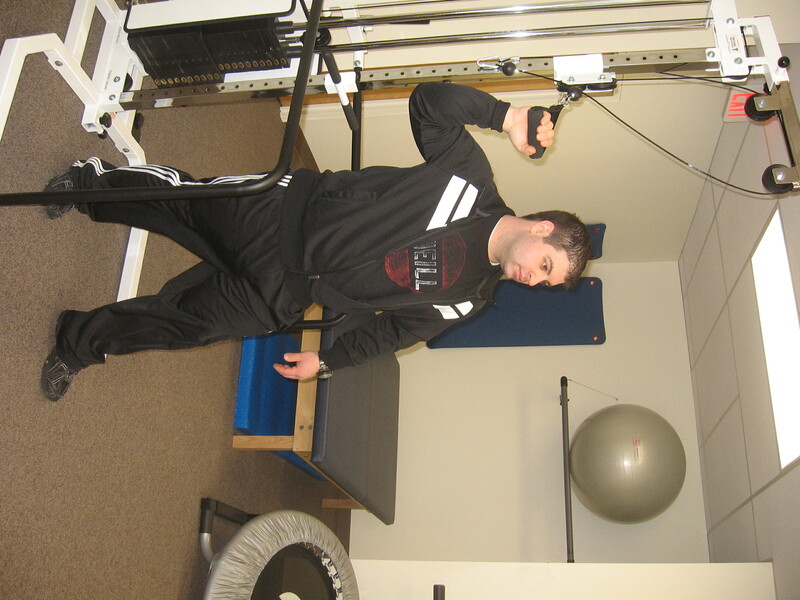 Vestibular rehabilitation therapy and balance therapy are subspecialties of physical therapy. All physical therapists have some training in vestibular rehabilitation and do some balance training with patients that need it, but most physical therapists that see people for dizziness or balance problems regularly have advanced training in these areas. While vestibular rehabilitation often involves treating people with inner ear (vestibular) problems, vestibular therapists often treat people with dizziness from many other causes besides the inner ear and they will also treat people with balance problems not related to dizziness. Just as with general physical therapy, the treatments that are provided are individually tailored to your specific problem, however some of the most common causes of dizziness can be quickly and successfully treated with the right exercises or positional maneuvers. At the NPBTC, we have a variety of technologies and equipment that can be used when needed to assist in the accurate diagnosis and effective treatment of your condition. For more info on vestibular disorders and support for patients with vestibular disorders, visit Vestibular.org.